We're continuing our series on fruits and vegetables, and today we are featuring textile artist Linda L. Frost, whose website is at 13th Street Studio. 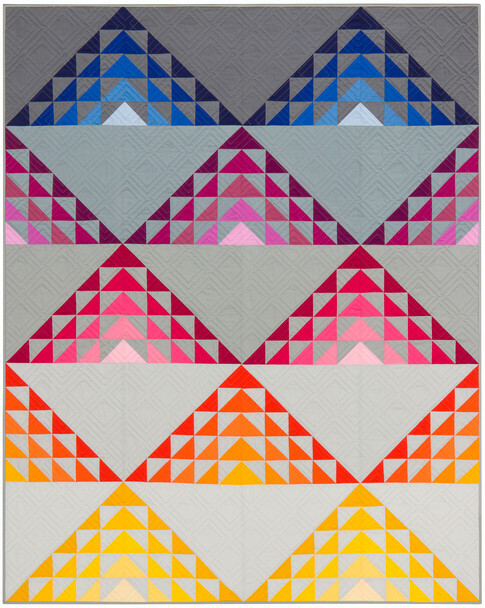 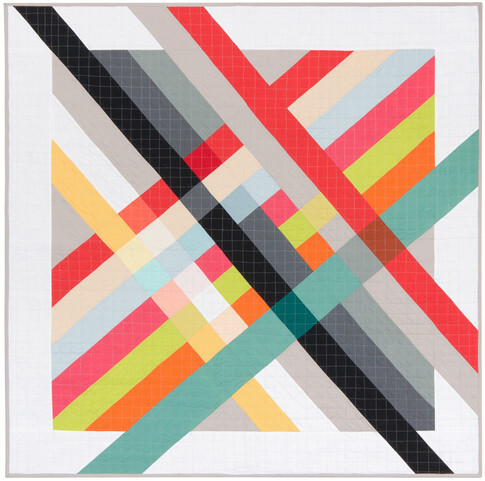 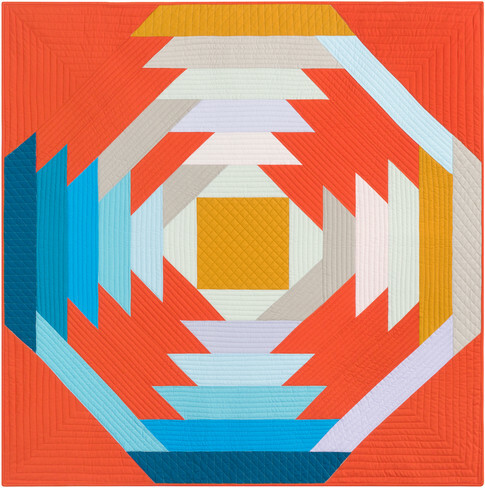 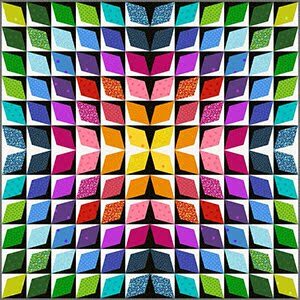 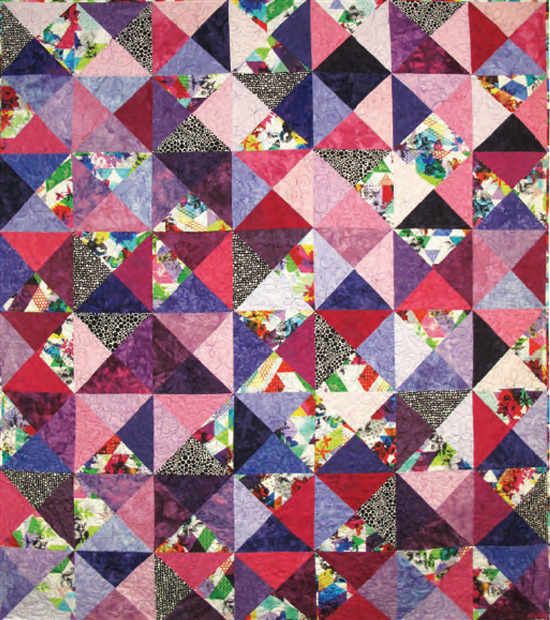 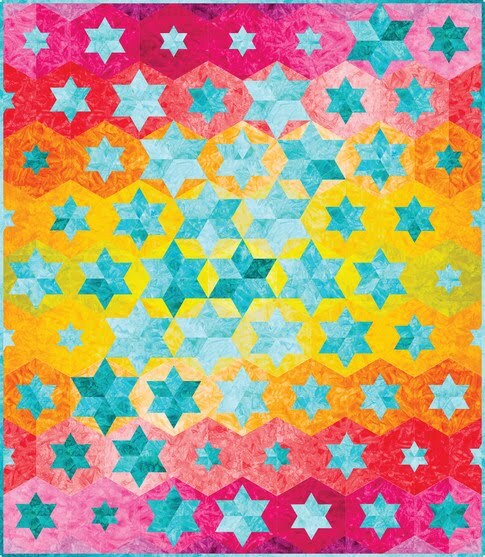 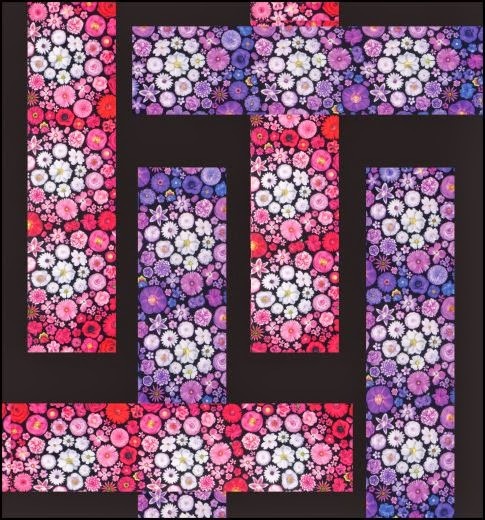 Linda's work ranges from reproducing antique quilts to creating abstract pieces, and her quilts have been exhibited in galleries and quilt shows throughout the U.S. 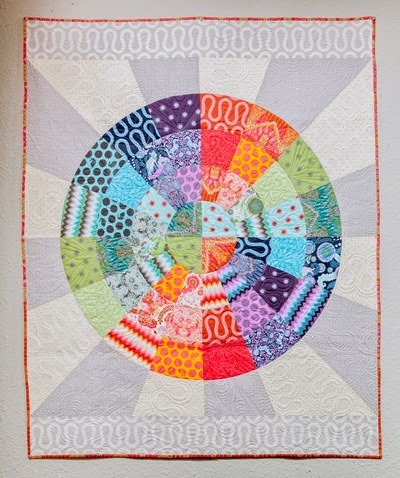 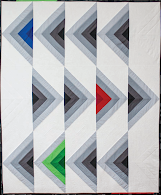 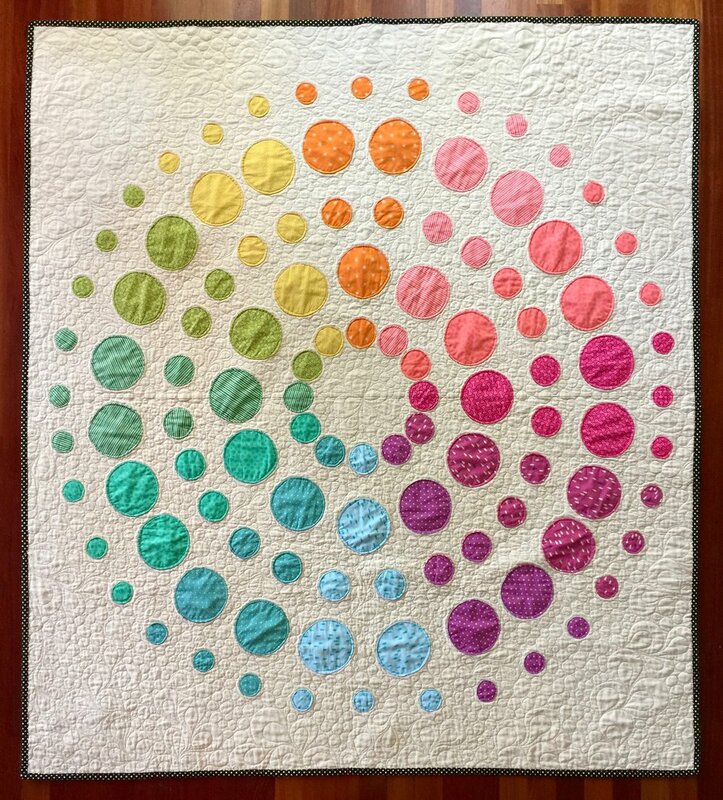 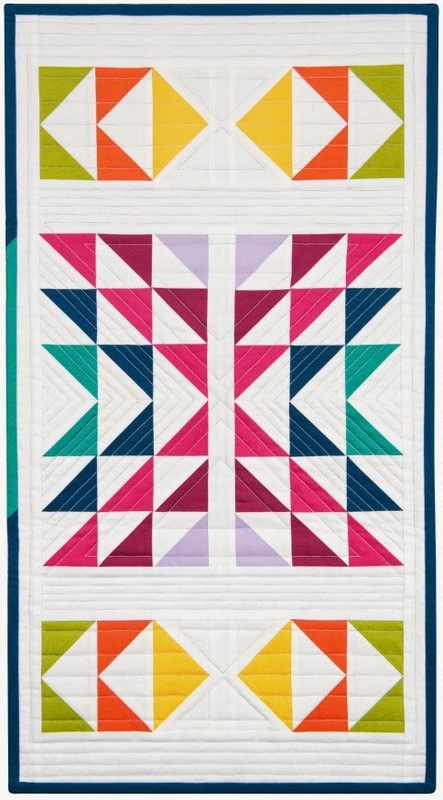 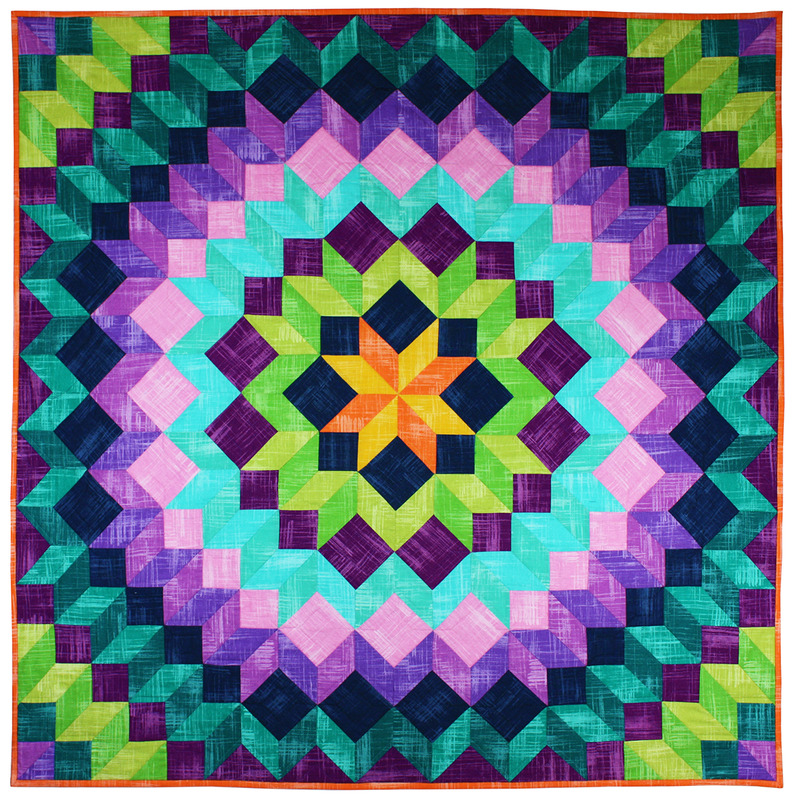 Her beautiful vegetable quilts were inspired by Ruth B. McDowell's book, Pieced Vegetables. 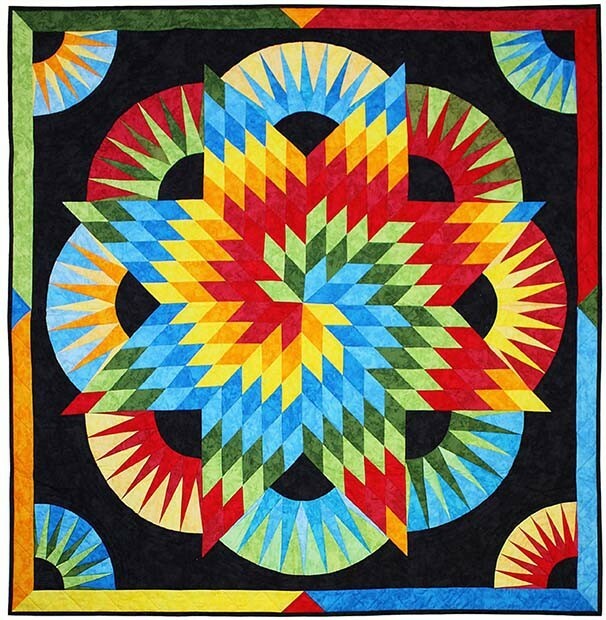 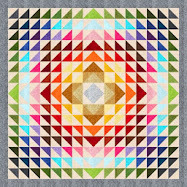 Linda Frost's explorations of pieced vegetables began in 2008 with the opportunity to show some quilts at her local organic/health food market. 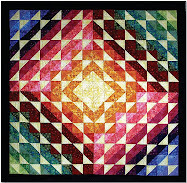 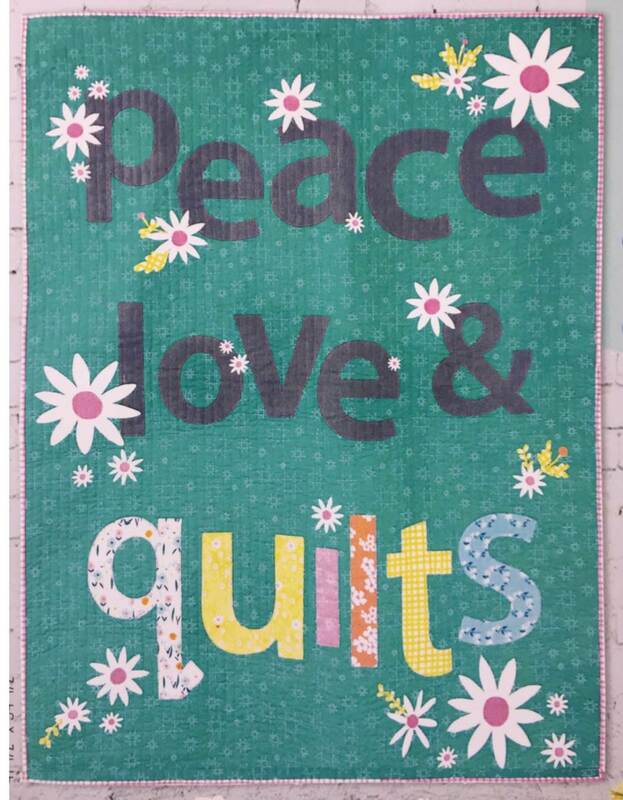 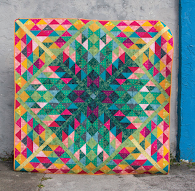 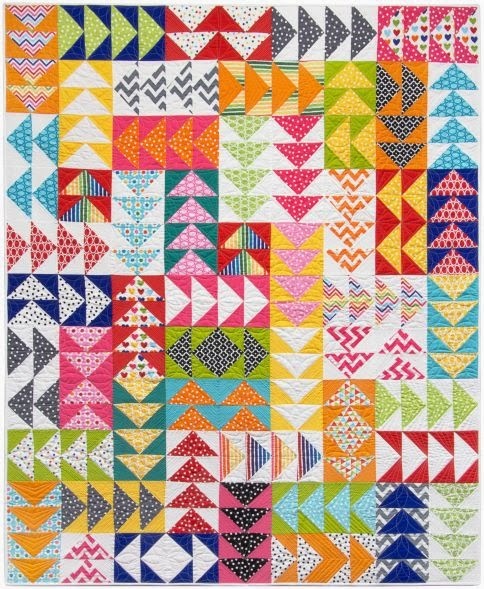 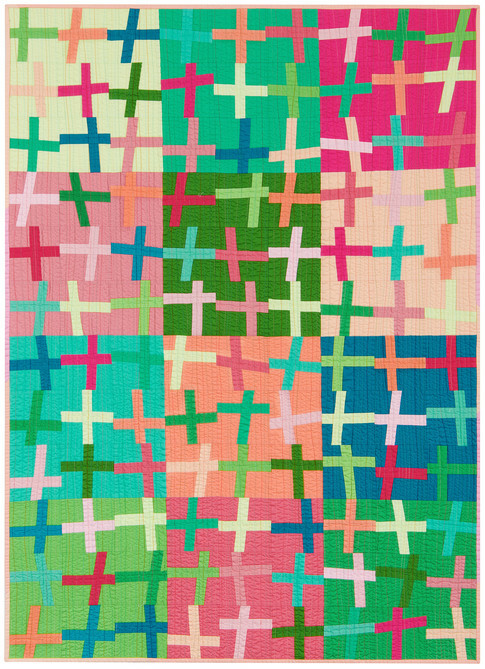 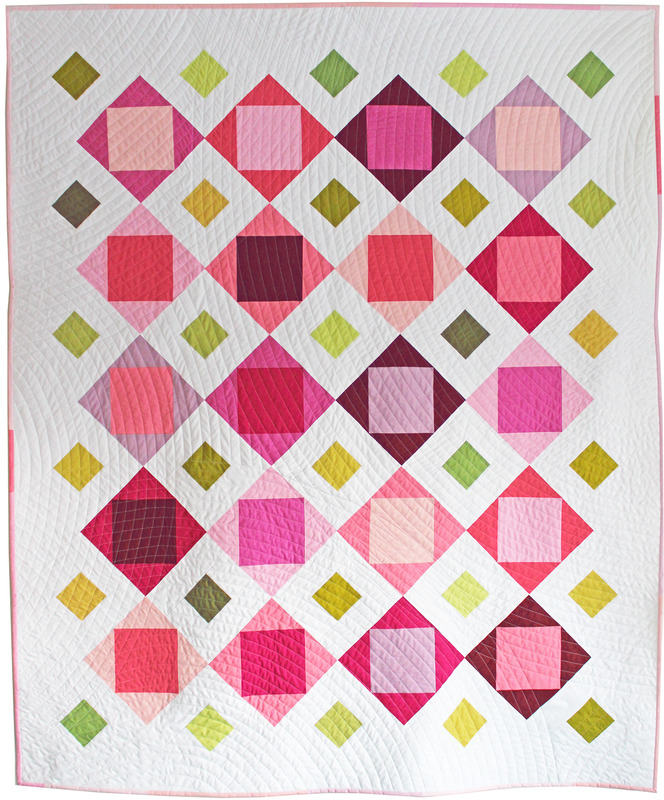 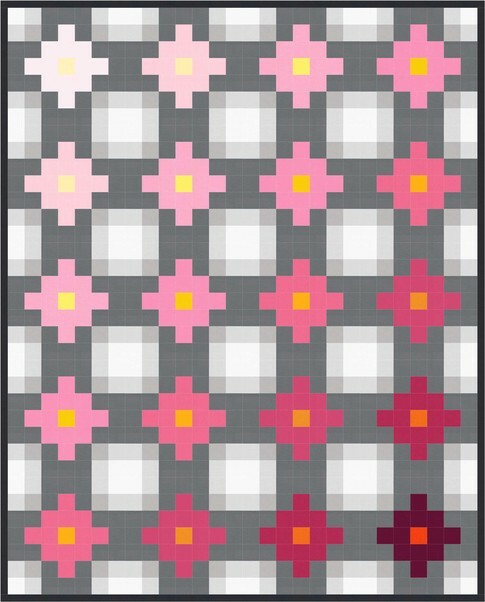 She decided it would be a good time to make some of the quilts in Ruth McDowell's book, Pieced Vegetables. 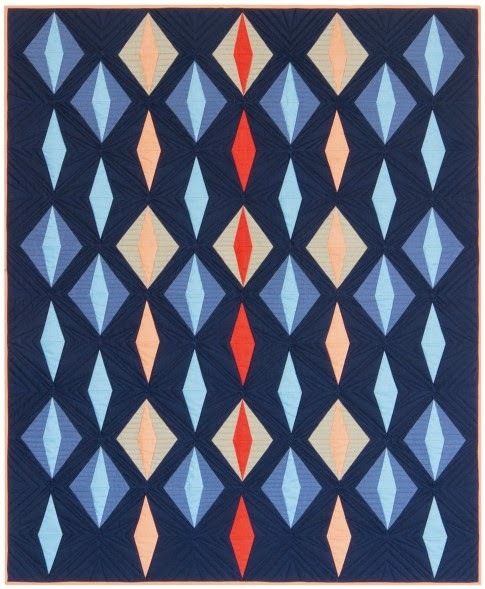 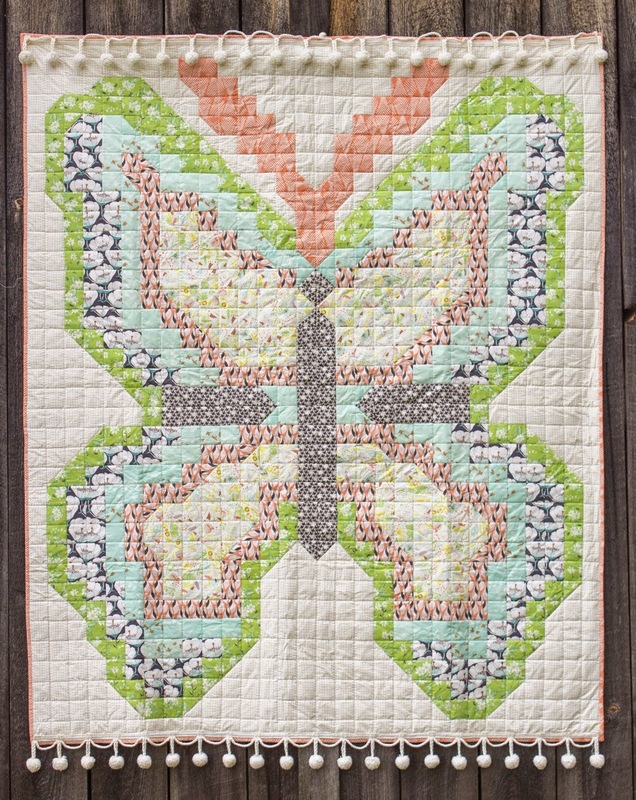 We love the carrot, above, with its interesting fabrics; the carrot appears to be visible underground, with just the carrot tops showing in the light blue sky fabric; the carrot top is quilted to mimic the texture of leaves. 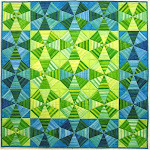 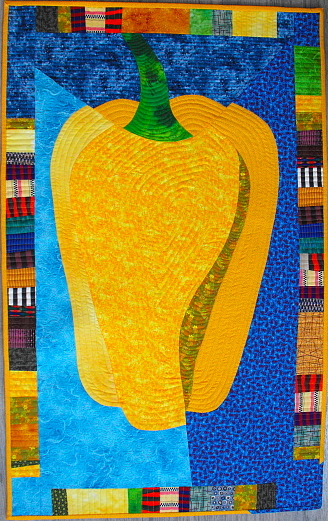 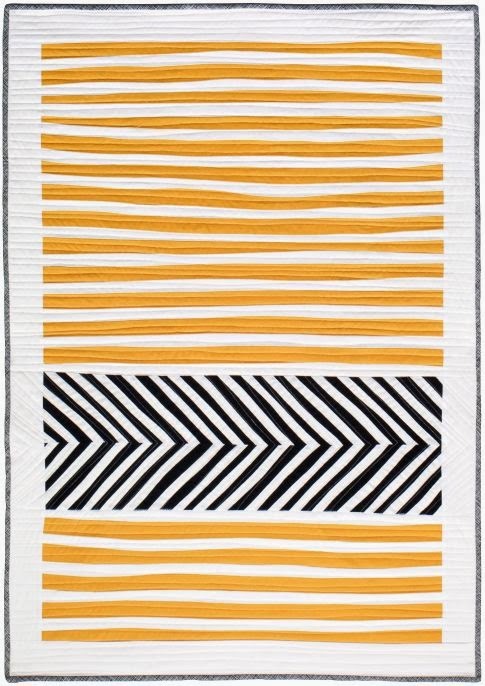 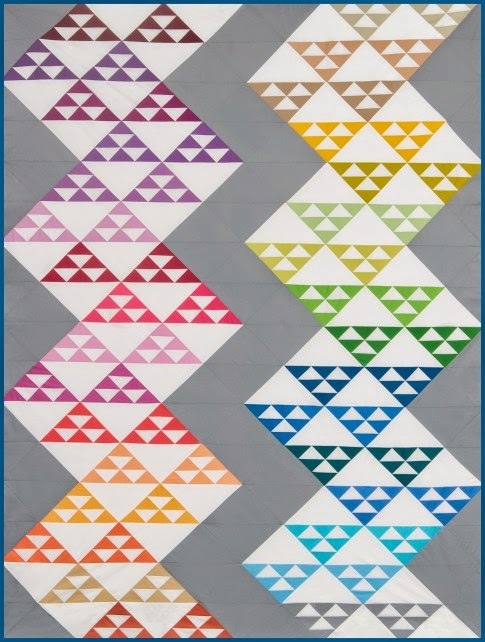 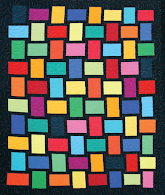 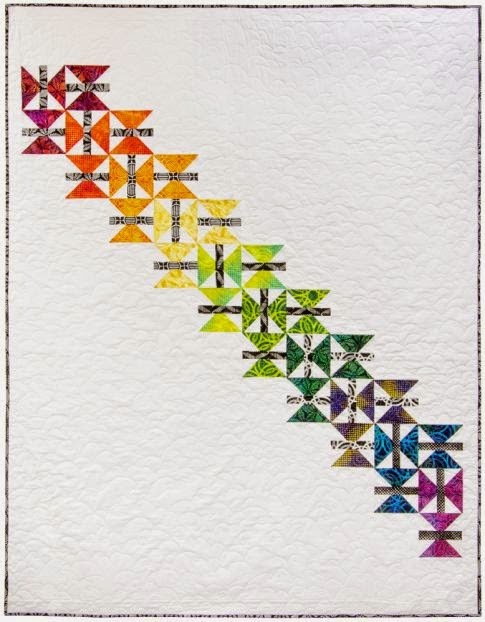 The sinuous shapes of the yellow pepper are clearly shown in this art quilt by Linda Frost. 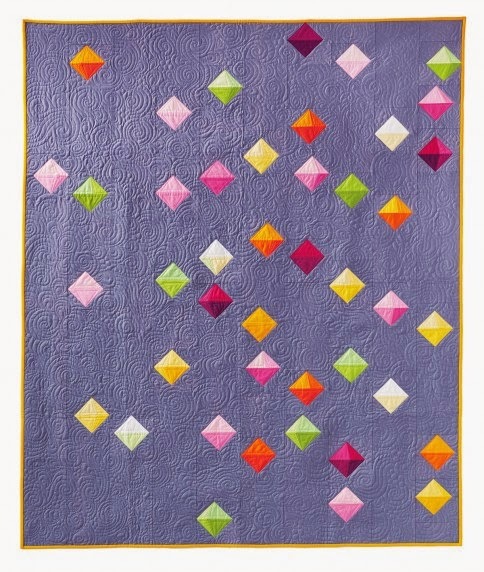 She has enhanced the lines of the pepper with echo quilting. 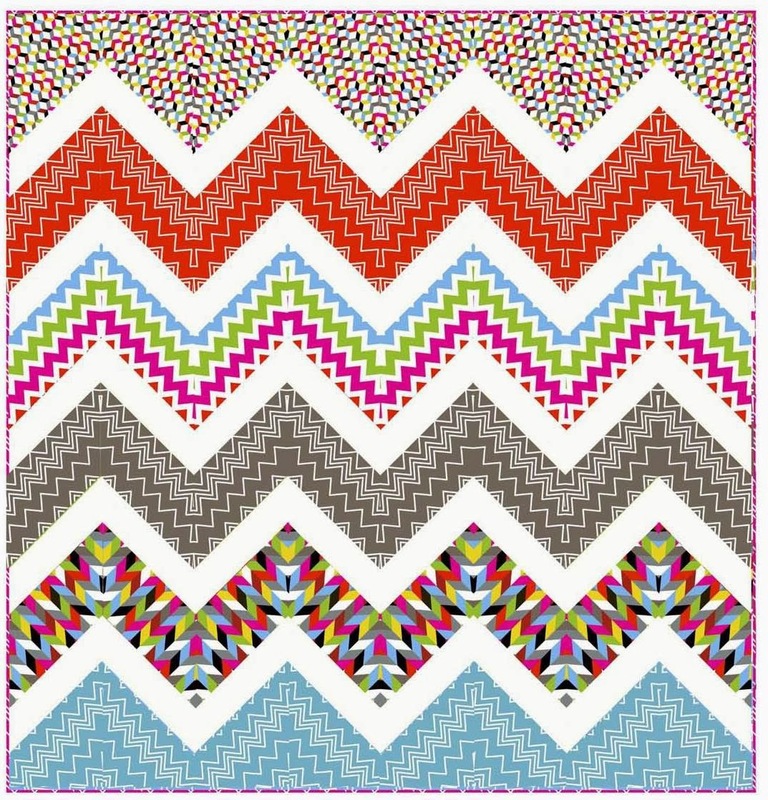 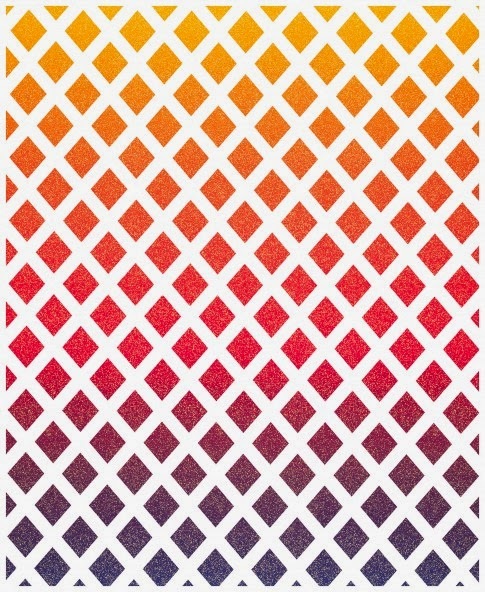 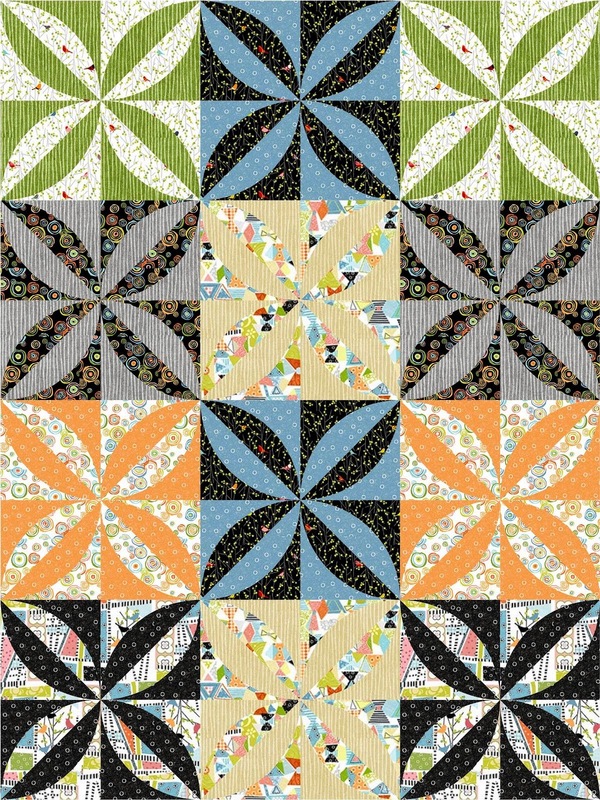 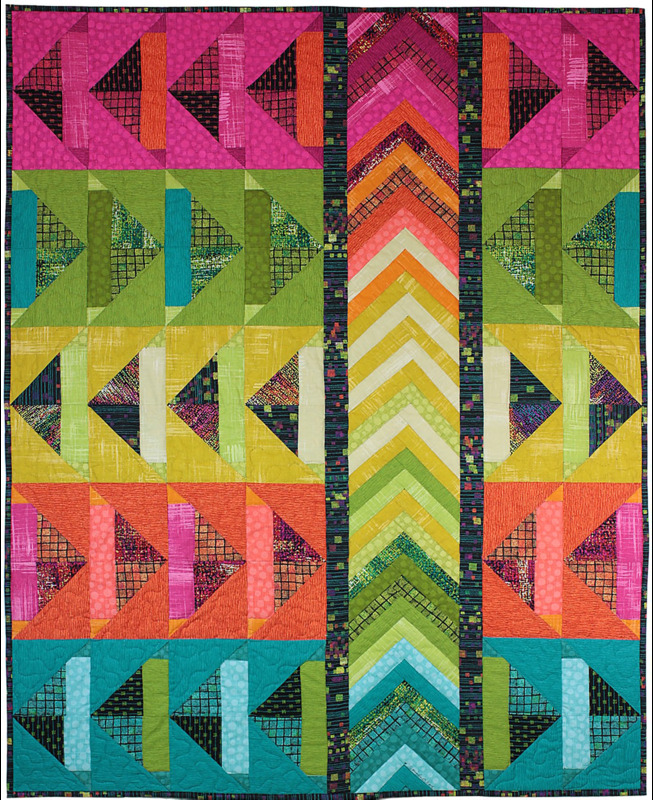 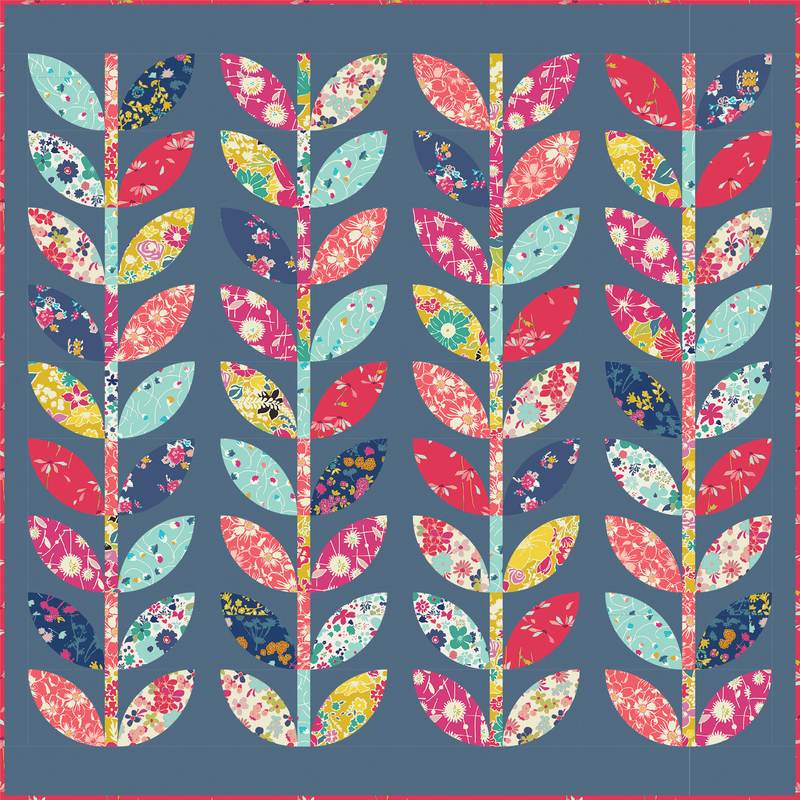 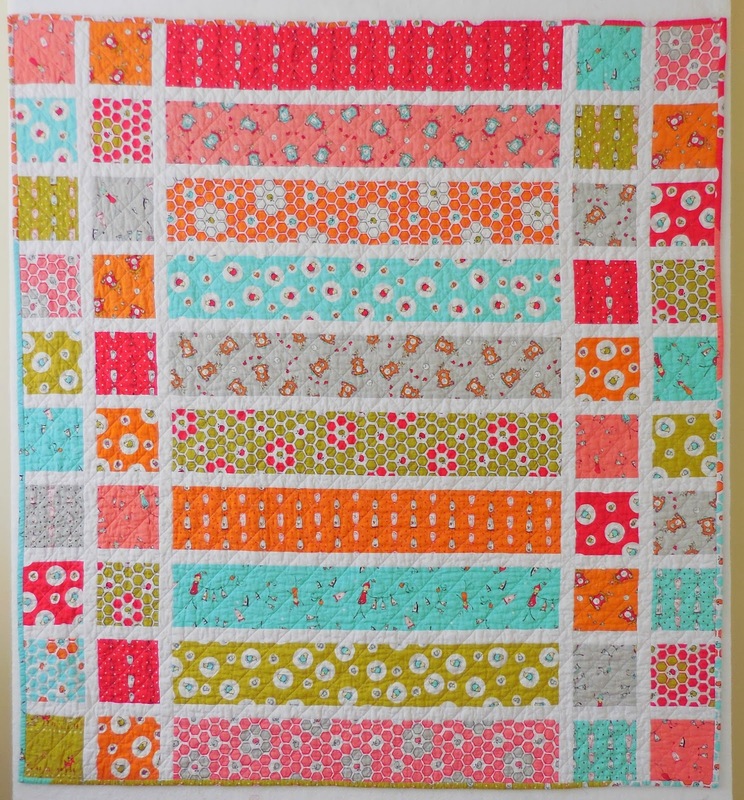 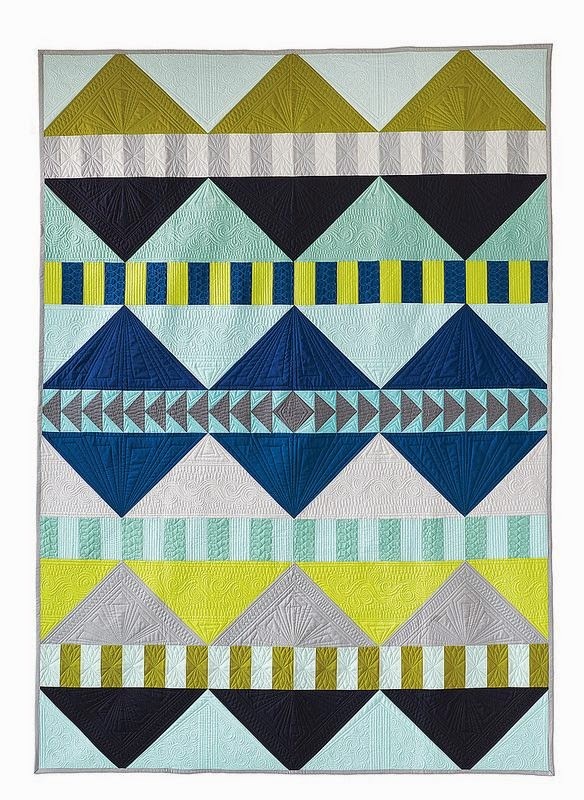 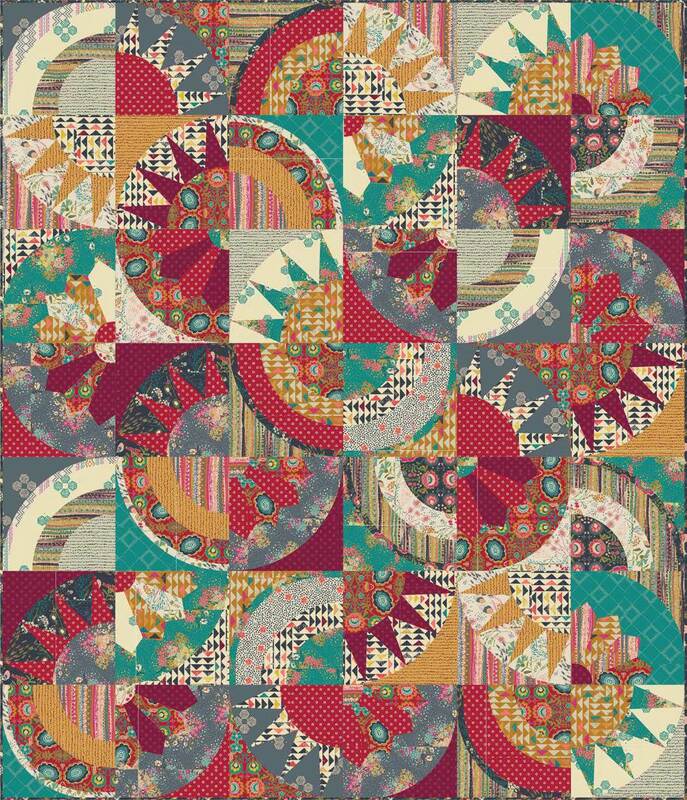 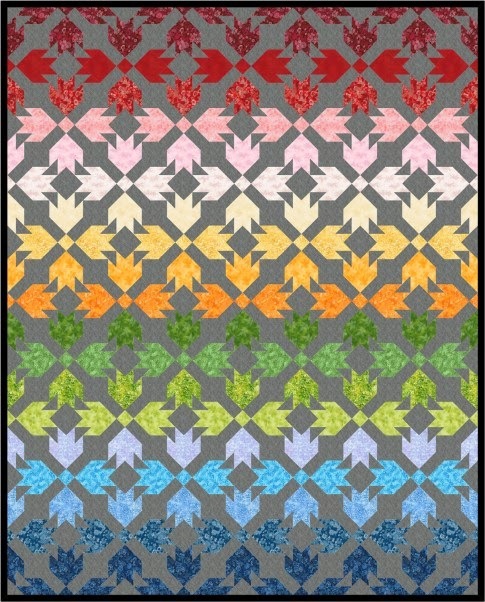 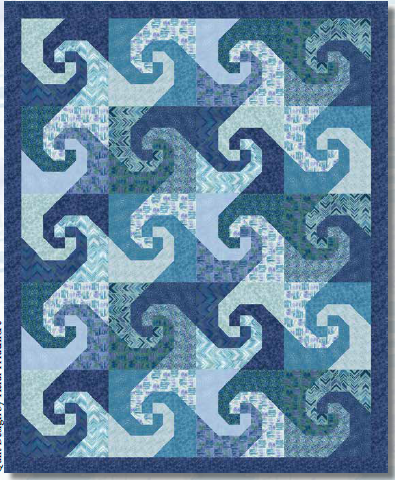 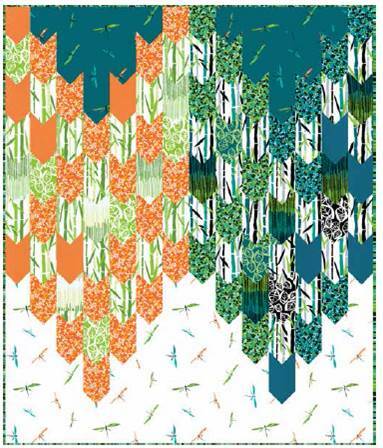 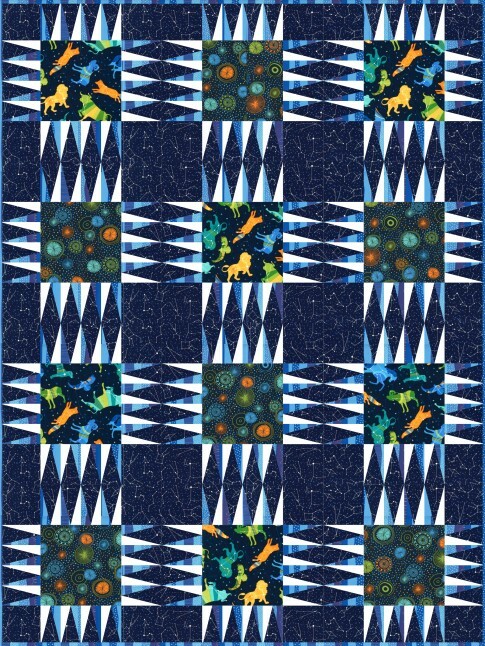 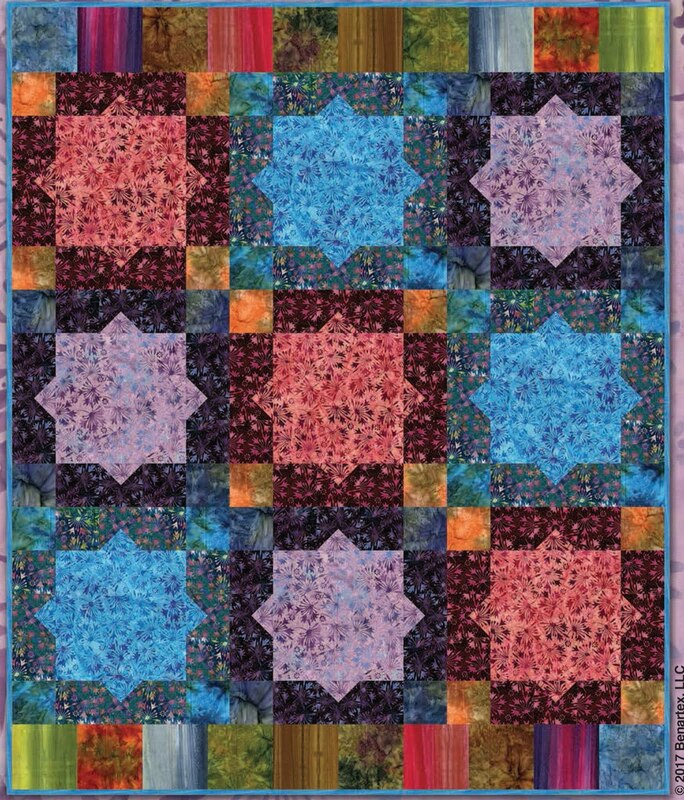 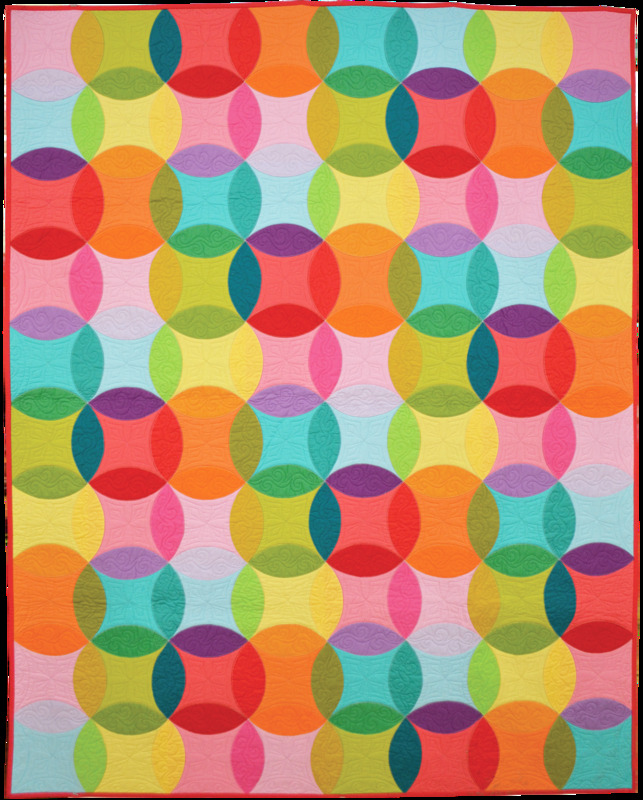 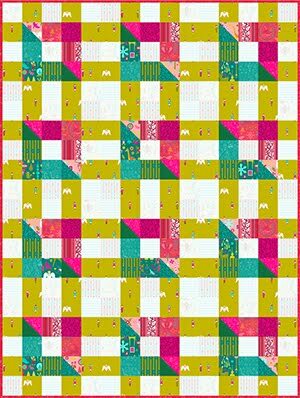 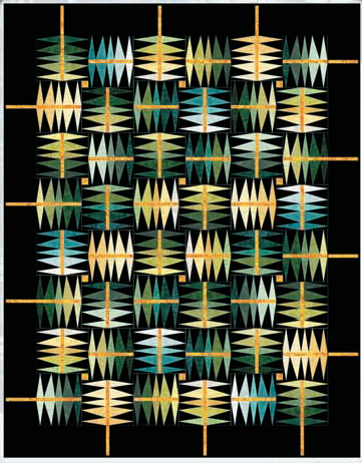 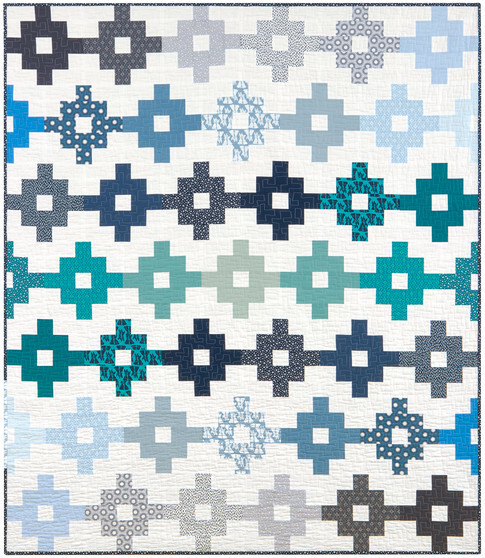 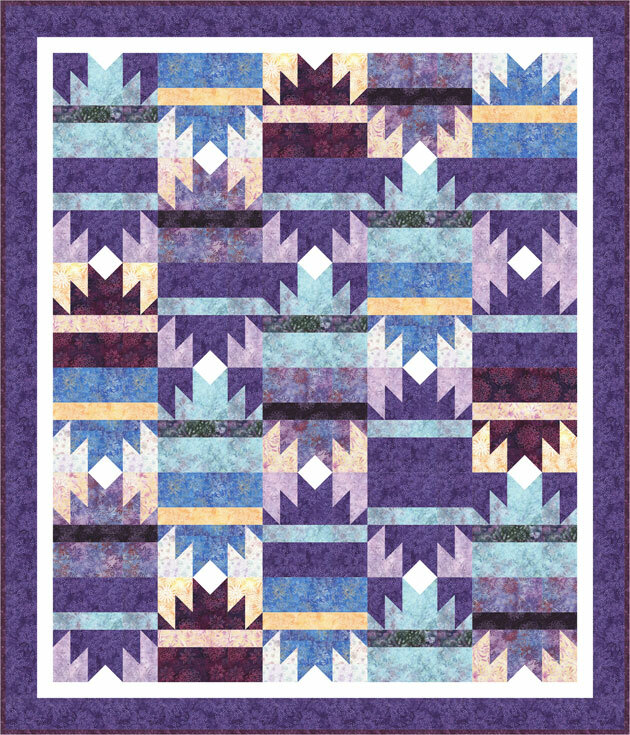 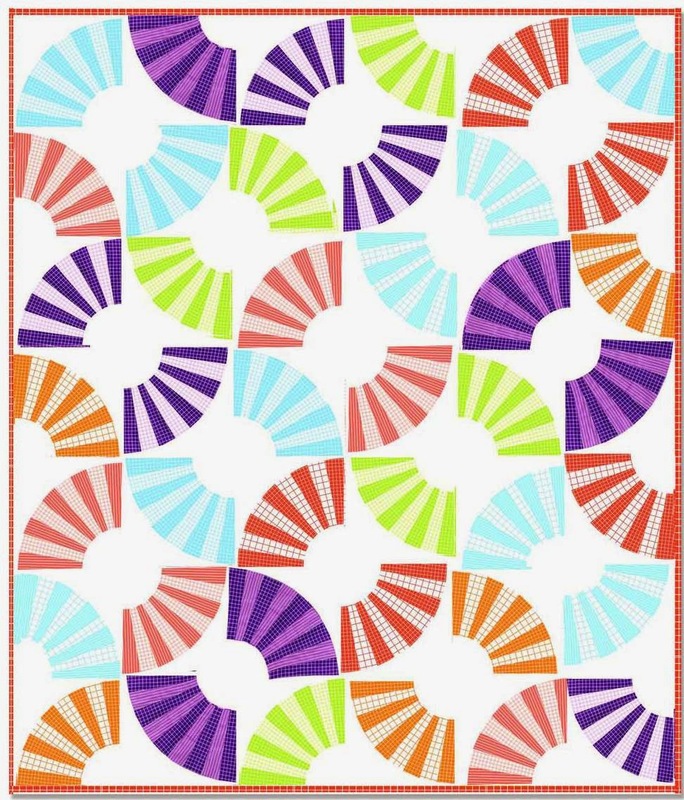 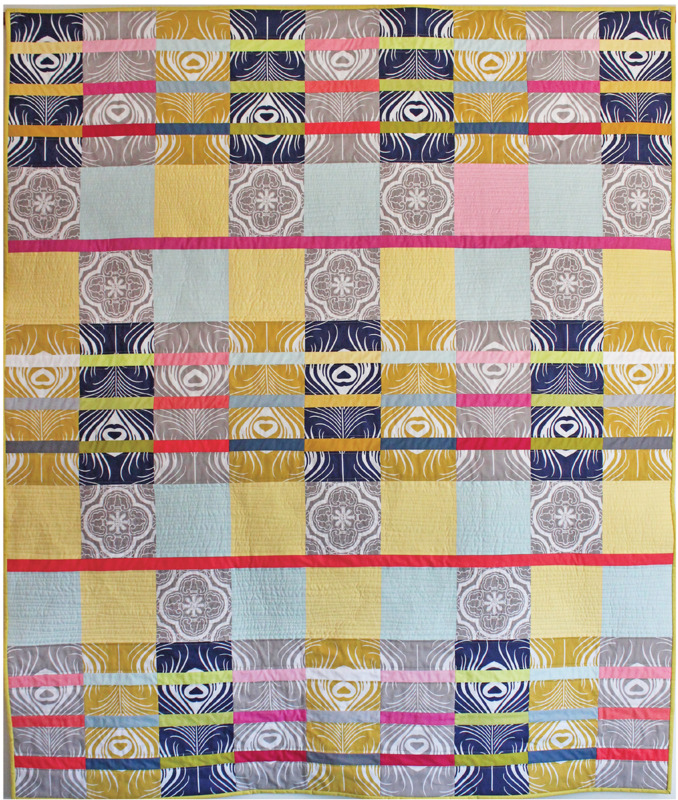 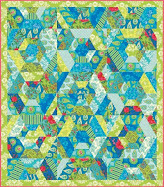 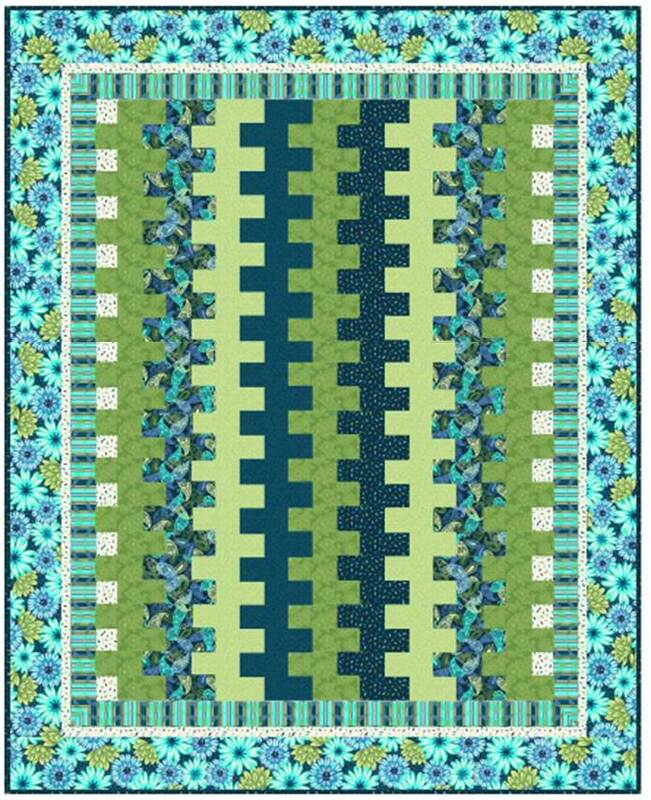 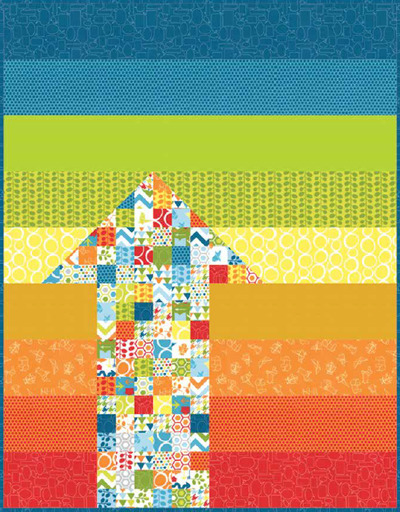 Linda's artistic fabric selection extends to the border, which incorporates strips in a variety of colors and patterns. 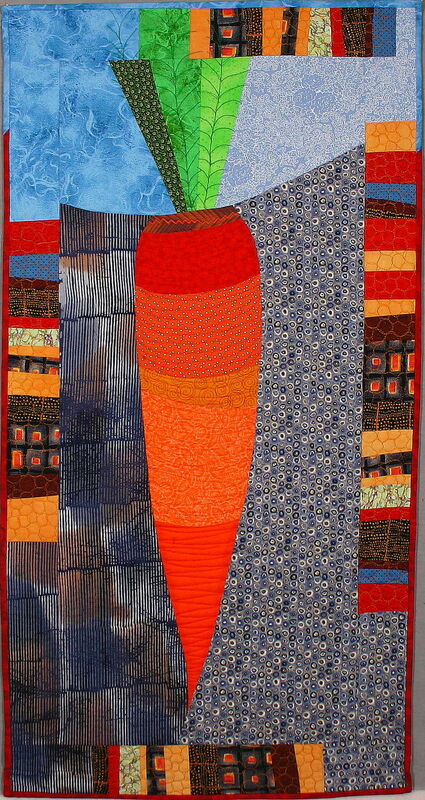 This is the third vegetable quilt that Linda Frost made to exhibit in her local Mercantile. 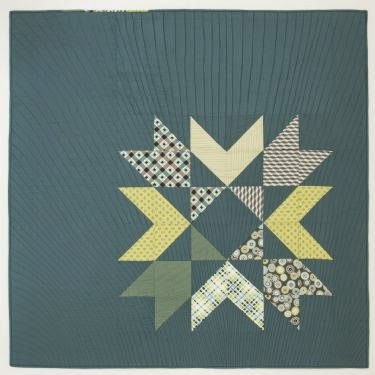 It is also from Ruth McDowell's book, Pieced Vegetables. 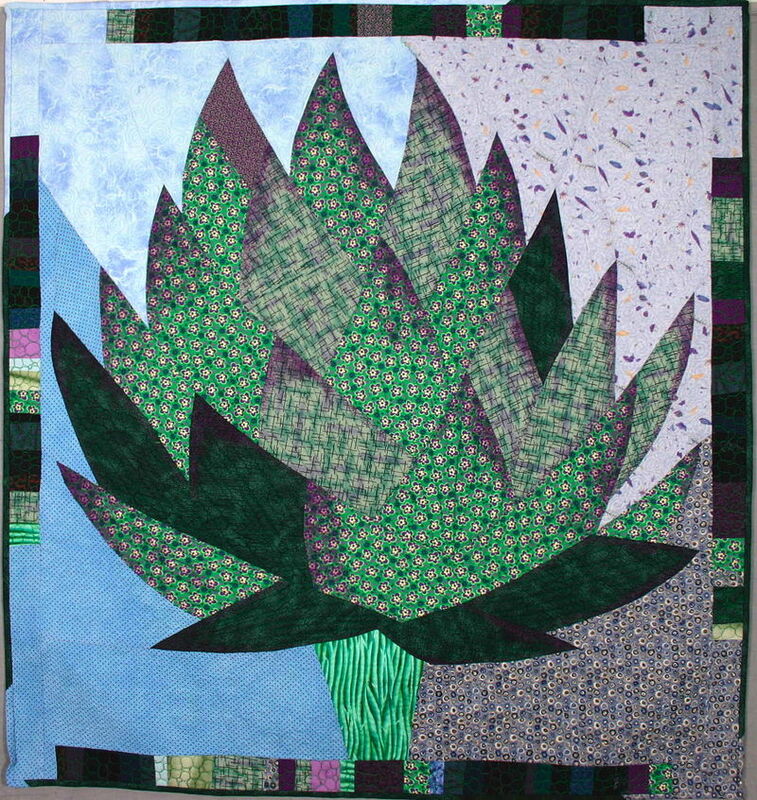 At 36 x 37", this artichoke is larger than life! Linda used some purple acrylic paint to shade the tips of each of the artichoke petals-before they were sewn together... and then also used some fairly heavy stipple quilting in purple thread to help with the shading. 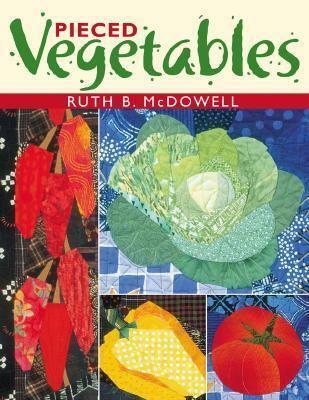 Ruth B. McDowell's book includes our favorite vegetables, such as asparagus, broccoli, carrots, lettuce, onions, peppers, and more. 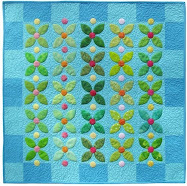 Pieced Vegetables joins Ruth's other books, including Pieced Flowers and Piecing: Expanding the Basics. 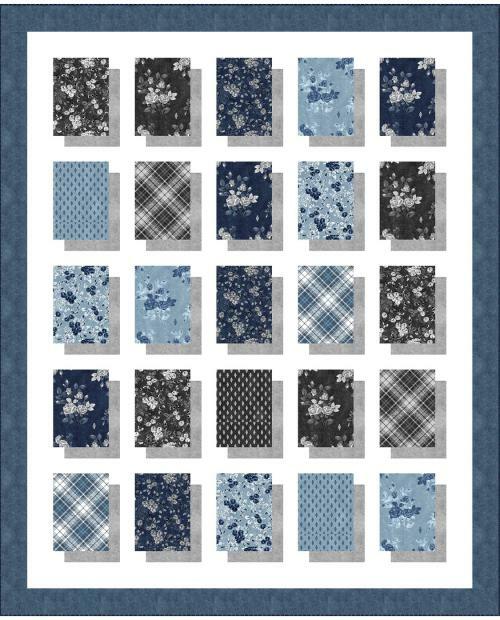 Image credits: Images are shown with the generous permission of Linda L. Frost. 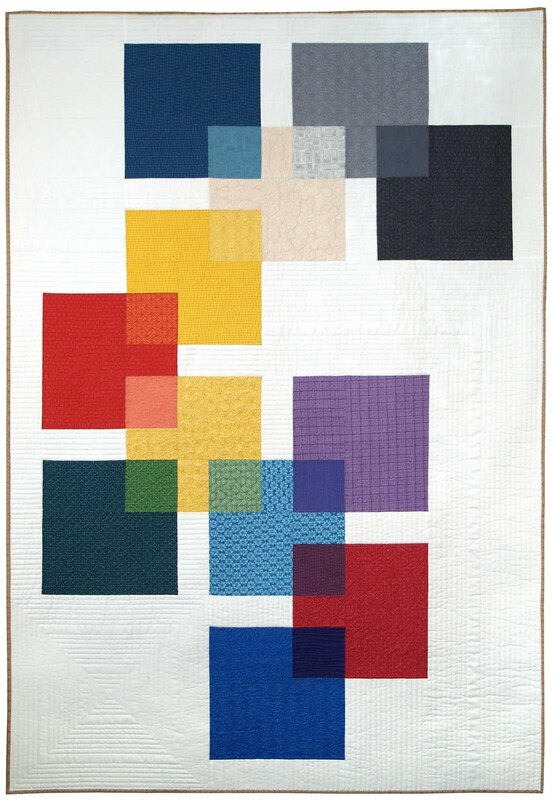 The quilts shown here are in private collections. 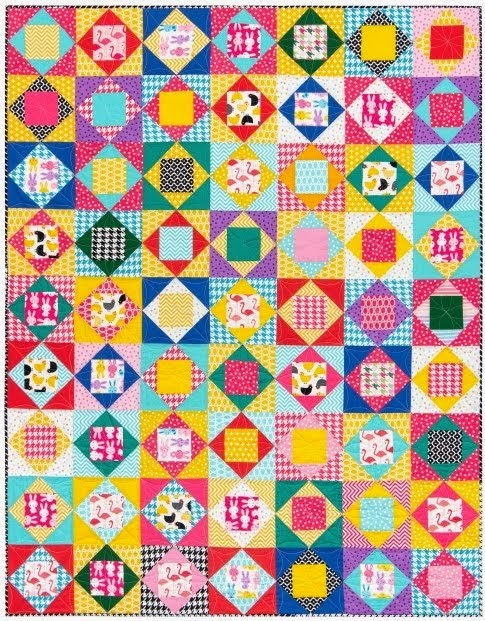 She is the author of the book, Happy Birthday Kansas! 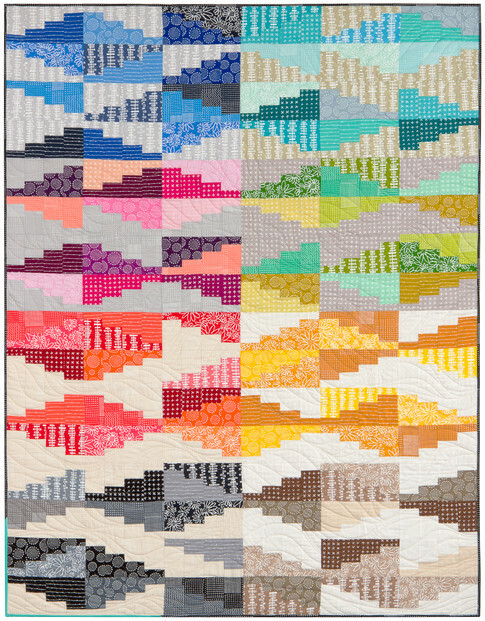 A Sampler Quilt Celebrating 150 Years on the Prairie. 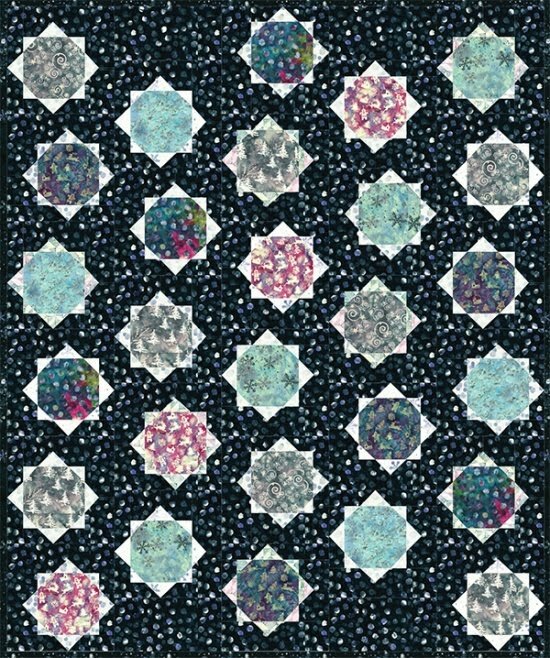 Her work was also featured in Martha Sielman's Art Quilt Portfolio: The Natural World and in several books by Barbara Brackman; for more information, please visit 13th Street Studio. 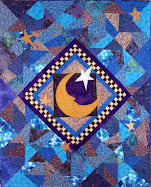 For additional inspiration also see Linda's photostream at Flickr. 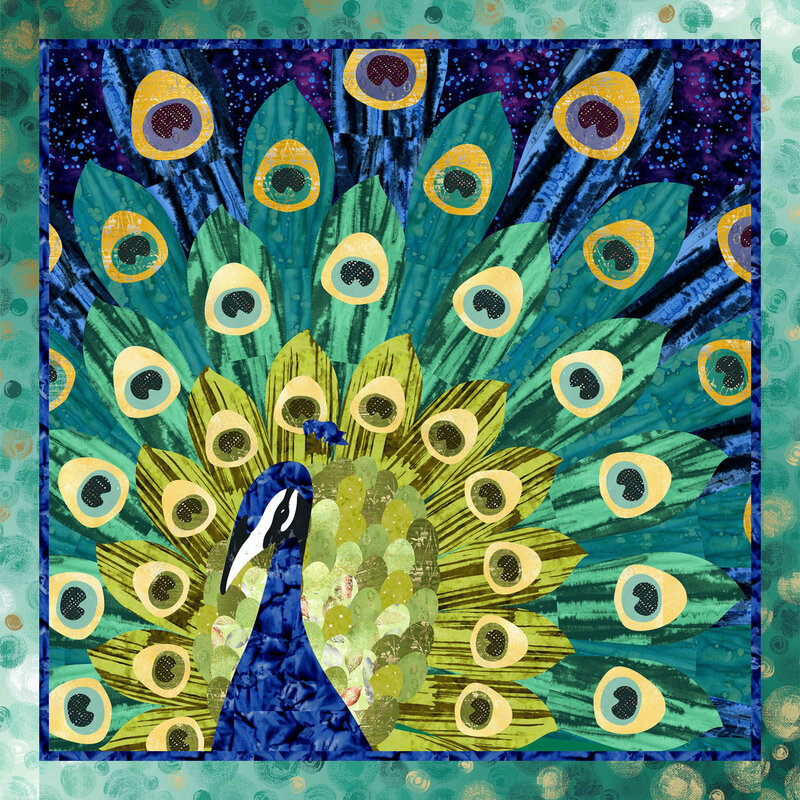 I love Ruth McDowell's designs! 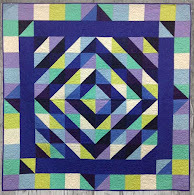 Linda did an awesome job! 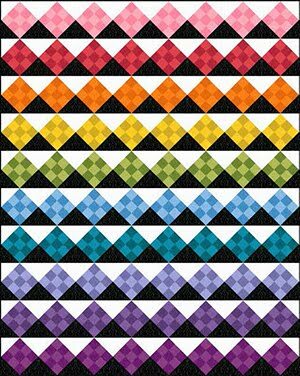 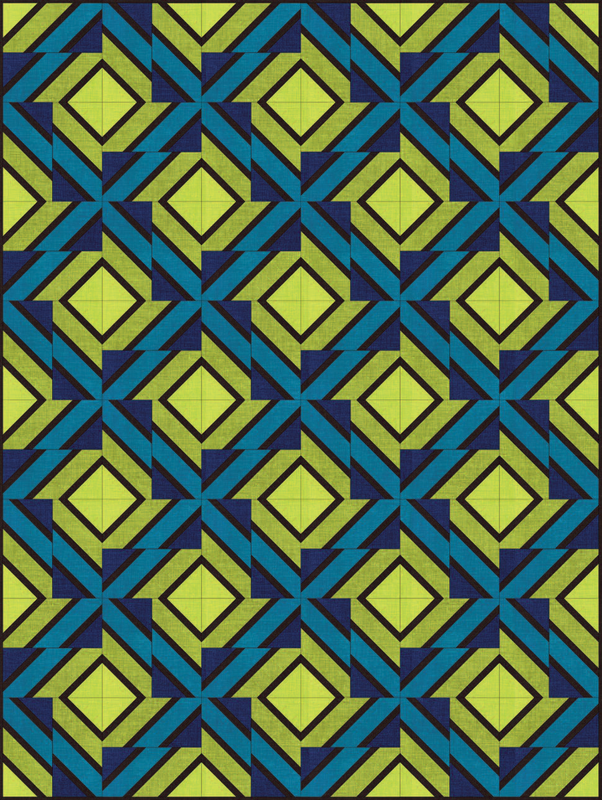 Free pattern day: Tote bags !